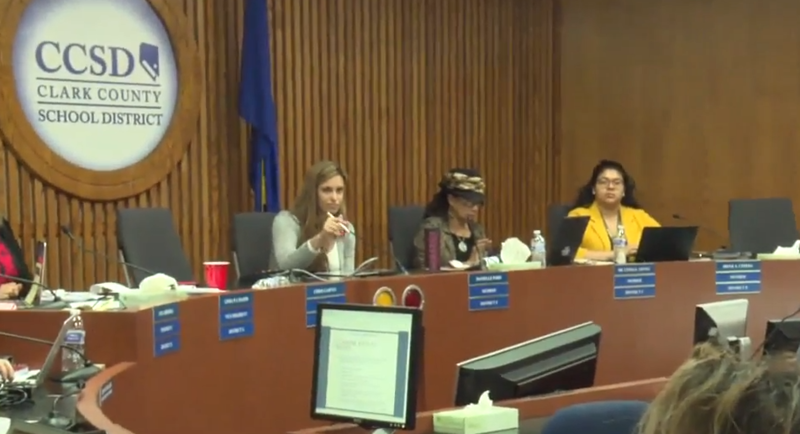 LAS VEGAS (KTNV) — A Clark County School District Board meeting that hoped to calm racial tensions surrounding a Las Vegas high school did the opposite Thursday night. After two hours of a meeting intended to address racist social media posts targeting black students at Arbor View High School, CCSD trustee Danielle Ford made what seemed an innocuous statement at first about where the district needs to go next. “There are two different problems that we are experiencing right now,” Ford said. But in the next breath, she manages to offend. The statement shocked nearly everyone with her apparent lack of self-awareness. "These are two different conversations. There is a clear problem with our culture. The culture of the country," Ford said. As several parents headed for the door, it wasn't until she turned off her microphone and a fellow trustee clued her in that she appears aware of her misstep. “I'm so sorry for saying that. I am so sorry for saying that,” said Ford. "You just proved the point! You just proved it,” shouted an angry mother, who immediately left the meeting room as more parents followed another chimed in. "Your words have fallen on deaf ears! Anything she said at this point is null and void and means nothing to us. Because right now all of your words mean nothing! You just showed your true colors." Ford continued to apologize claiming she meant to say people of color. We caught up with Akiko Cooks outside the meeting after she stormed out -- her child was targeted in one of the threatening posts. "She called us colored,” said Cooks. “Which lets us know that they need the training. The bias training. It needs to start at the top." A woman in the audience interrupted Ford as she attempted to apologize again. "You're still learning? It's 2019 how long have not used colored? How long have we not used the word colored? It’s 2019,” said Cooks. “It came out with such ease. Colored. Let that set in."